1. Heat oil in large skillet over medium heat. Crumble ground beef or turkey into pan, add garlic salt and sauté, stirring frequently until meat is thoroughly cooked, about 10 minutes. 2. Add onion, celery, carrot, peas, and green beans. Reduce heat to low and cook, stirring frequently , until onion is translucent and all vegetables are hot, 8 – 10 minutes. 3. Add tomato sauce, tomato paste, and wine. Bring mixture to simmer. 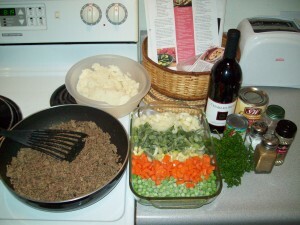 Season to taste with salt and pepper, about ½ tsp each. 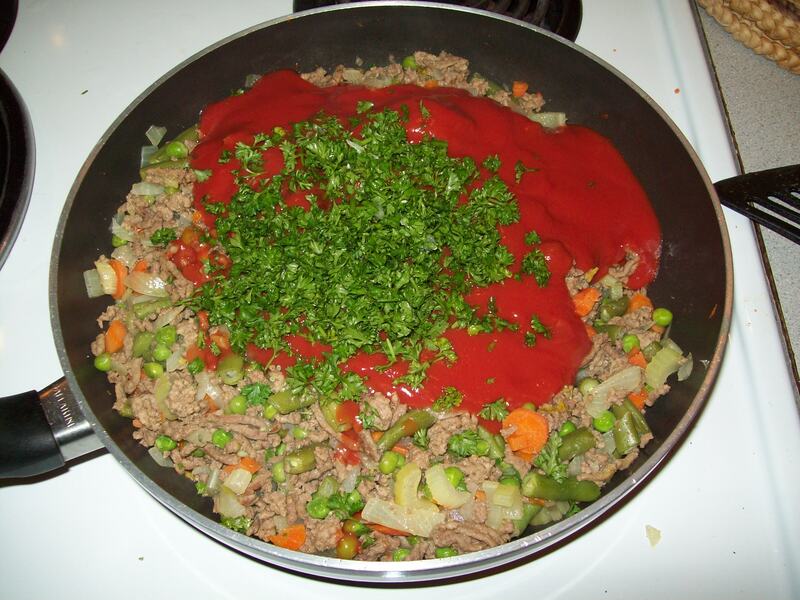 Simmer, stirring from time to time, until sauce has thickened a bit, 10 – 12 minutes. Remove skillet from heat and stir in parsley and thyme. 4. 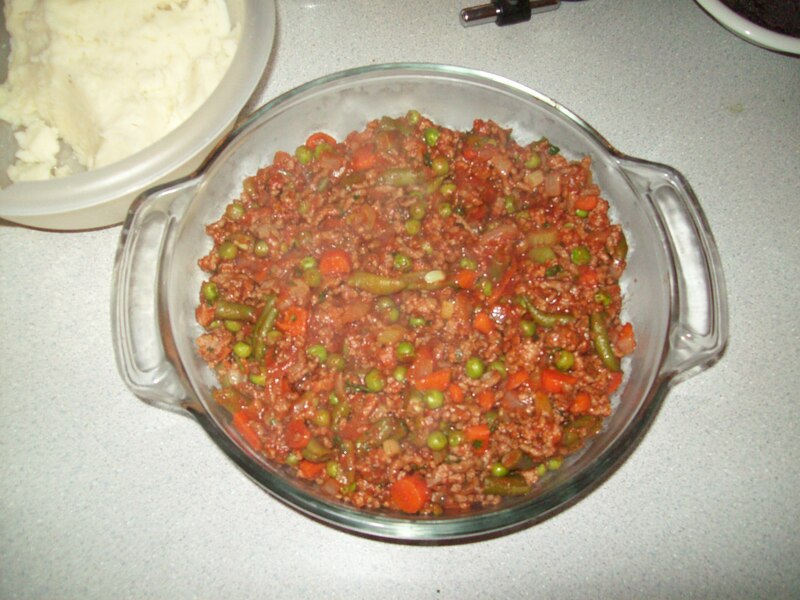 Transfer meat mixture to 2 ½ quart casserole. 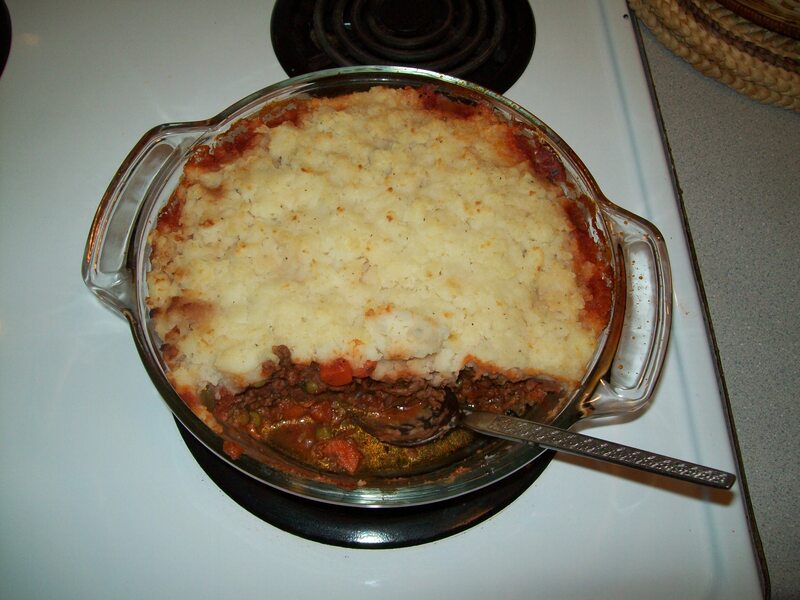 Spoon or pipe mashed potatoes into even layer that completely covers meat. Bake at 350° until potatoes are very hot with a light golden crust, about 30 minutes. Serve immediately. Goes well with a cabbage salad and bread. © 2011 Living In The Garden.